Synopsis: On a bright January morning in the London suburbs, a family moves into the house they’ve just bought in Trinity Avenue. 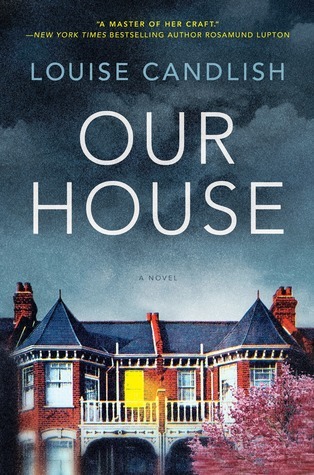 This was such an interesting take on the domestic thriller. It just kept getting more twisty, even at the very end. It starts out with Fiona, or Fi, as she is returning to her home after a weekend away. But when she walks up to her house she finds someone else moving in. First she tries to reason that maybe she’s looking at the wrong house or someone is playing a prank, but she soon realizes that her worst nightmare has come true. Her beautiful home that she worked so hard to buy, decorate, and keep, is now sold to someone else. Fi and her husband Bram have been separated for a while. They had worked out a situation where they shared the home in order to make their separation easier on their children. As we get further into the story we find out that it is this separation that has started the downward spiral to where Fi now finds herself. The story is told in three different timelines. One is the present as things are unfolding and Fi is trying to find out why her house has been sold. Another is Fi’s side of the story, after things have been figured out, as she is interviewed for a podcast. And the final timeline is Bram’s side of the story told through a final letter. This makes for an interesting set up and one that kept me engaged the entire time. I won’t say much more because, thriller. You just need to read it for yourself! And if you like this one, or are looking for more thrillers to add to your list, I wrote an article for The Nerd Daily, 5 Thrillers to Put You On The Edge of Your Seat. And I also have a list of thrillers here*! Hi! Do you need help with adding the hashtags or coming up with them? I’m happy to help! You can also email me at bookishconnoisseur@gmail.com if that’s easier!